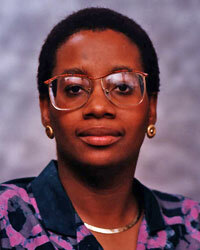 Janet Antoine Lumpkin was one of the nation’s first African-American female faculty members in the chemical engineering field. Dr. Lumpkin joined UMBC in 1991 and brought her skills to bear on understanding the mechanisms and kinetics involved in protein stability. She passed away in 1997.